First things first. Let’s figure out what you’re going to need. Finding the path to the right lessons can take time which is why I created this page. If you click the dropdown button below you will see three categories that can help to narrow down your search. However, if you’re looking for lessons based off of the materials you have on hand then scroll down to pick lessons involving those supplies that you have. Teaching art at home to a few children is quite different than teaching 30 children at a time with little prep time. It means you have more flexibility and the freedom to create art when you want. Not all supplies are created equal. It’s best to stick with supplies meant for kid’s art, not crafts. That means you need to know how to select the right products form craft stores and know what qualities you are looking for in products. Here’s a post that explains the difference between artist acrylic paint and craft acrylic paint. 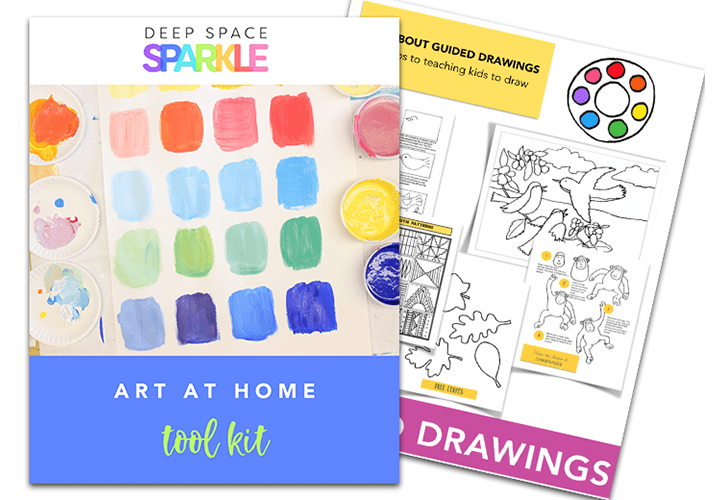 As a teacher or volunteer who may not have tons of drawing experience, using directed drawings is a fantastic way to help your students learn to draw. I like using directed drawings for grades K-3. After that, it’s best to follow a directed drawing handout yourself and demonstrate drawing possibilities for your students n your way. Here’s a video and drawing guide to download that helps get your directed drawing projects started. 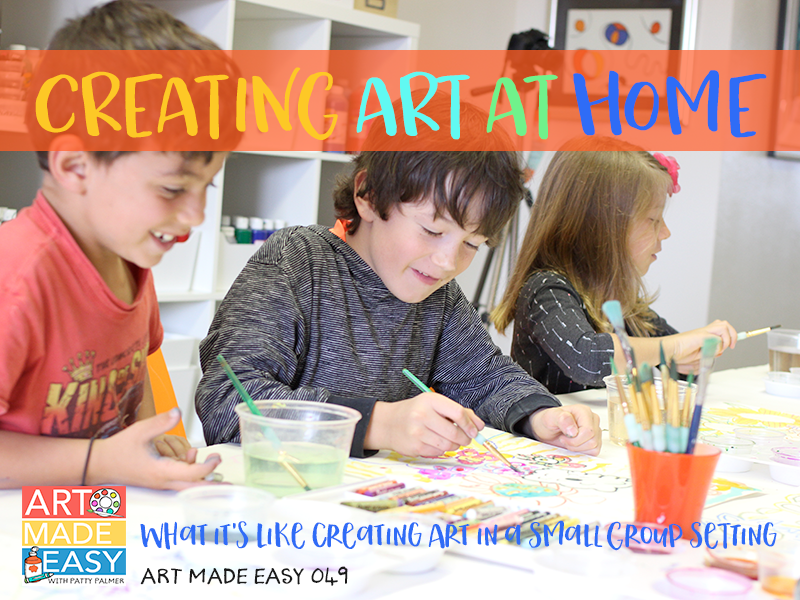 Discover the subtle differences between teaching art at home and in a classroom and tips that can help you create art with you kids. 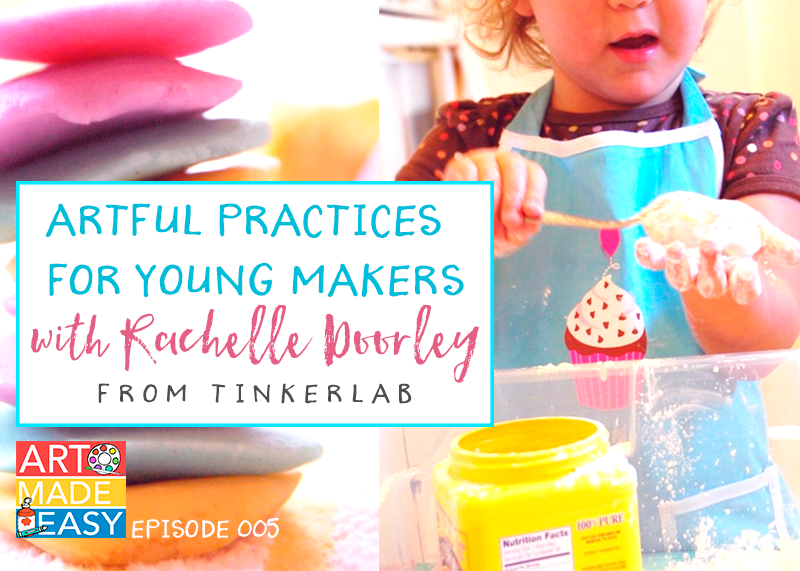 Learn how to set up creative spaces in your home that encourages art & creativity in young children. 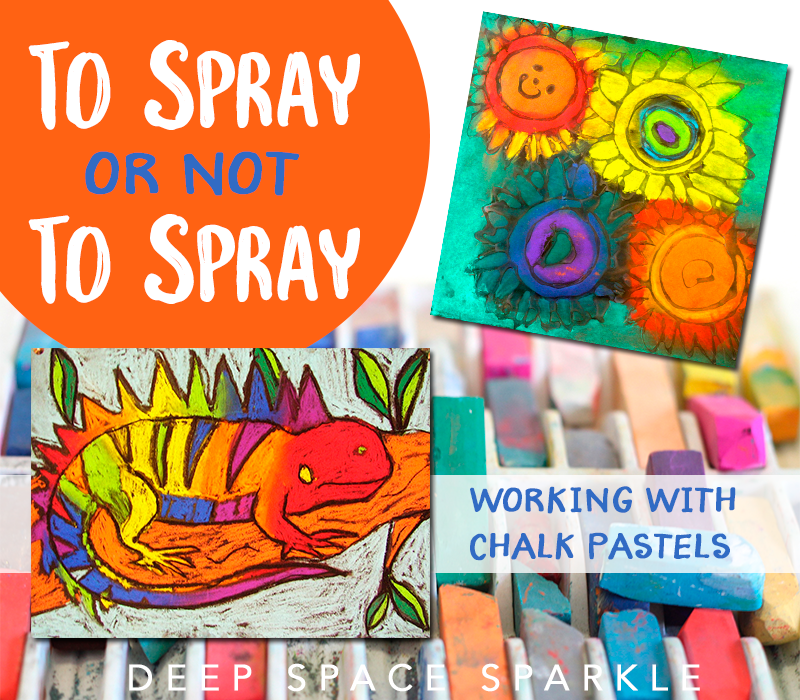 One of the best art mediums to use with kids at home is chalk pastels. These tips will help you move past the mess and embrace the art!